Rebecca volunteered at the Foundation from December until February. Her report on the time she spent at Rancho los Pinos can be found here. Work Objective: The Foundation is in charge of providing a welcoming space for the neediest children of the neighborhood, before or after school. Without this space, they would probably be left alone at home or on the streets. The day at the Foundation is divided into two parts: In the morning, the children who have school in the afternoon come to the Foundation. Usually, the volunteer prepares refreshments and helps the children in the classrooms with their homework. In the middle of the morning, the volunteer oversees the “Game Room” activity where, with a group of children, she goes to a classroom and for 30 minutes conducts educational games with the children. After the morning activities are finished, the children have lunch and prepare to go to school. Afterward, the children who went to school in the morning arrive. They have lunch, play a little, and then go to the classroom to do their homework with the help of the teachers and volunteers. Also in the afternoon session, the volunteer oversees the “Game Room” activity and prepares the refreshments. Professional Profile: Cultural Educator, Master of Human Rights, Migration and Development; and graduated in International Relations (Alma Mater Studiorum Università di Bologna). Why would you recommend the project? 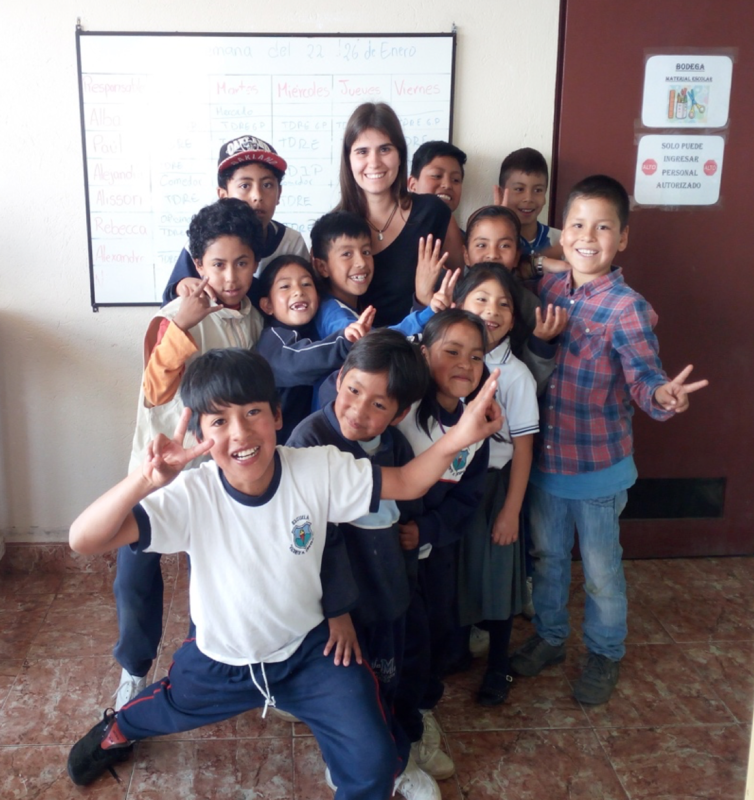 I think the foundation offers a lot to these children, who often come from families with serious problems and little instruction on their shoulders, who would not have the means to help the children with their homework or transmit a good education. It is a healthy place where the children can learn, play, confront problems, and serenely grow. The program has a comprehensive approach that reflects a real interest in the children, covering all spheres: hygiene, school, health, nutrition, and contact with the families. It has been a pleasure to work at this foundation because I share the educational method they use and because they are open to the proposals of the volunteers. They gave me the chance to conduct my own project with some children with difficulties. The project occupies the children through playful activities to reinforce aspects such as self-esteem, attention, concentration, personal space, etc. The team works very well, and always has the desire to improve and work together to help each other. I am happy and satisfied to have done this work because on the professional side, I have been able to bring something of my own, while also gaining positive changes from this life experience. Life in the neighborhood—the routine, the relationships, and the culture—is very far from that in Europe, but it involves you so much that you become part of it, and when you return to your country, you really miss that everyday life.